The requirement for Change and Capacity Management within IT environments is now an essential part of the IT Infrastructure. Changes and upgrades cannot be instated until we know the existing equipment that is deployed and the capacity of its supporting system. 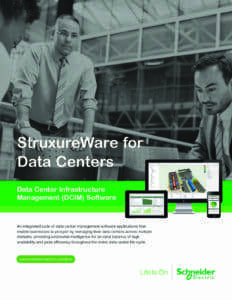 Data centre infrastructure management (DCIM) is the convergence of IT and building facilities functions within an organisation. 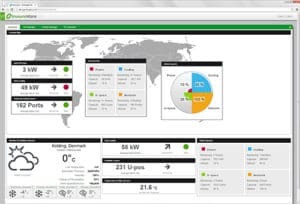 The main goal of a DCIM implementation is to provide administrators with a holistic view of a data centre’s performance so that power, equipment, rack and floor space are used as efficiently and effectively as possible. 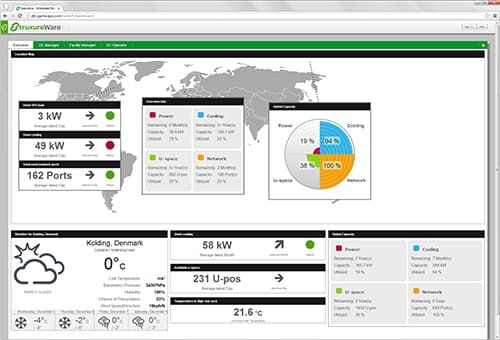 We are able to offer a comprehensive DCIM solution through Schneider Electric’s Struxureware for data centres. The software architecture, of which Data Center Expert is one component, is scalable and modular to enable you to tailor the suite to your distinct business needs. However, the key to a successful DCIM implementation is not just the software but is how it is used post implementation. As experts in Struxureware we are able to advise on how to use the it in the future and provide support to ensure you continue to get value out of the software. To find out more about how we can help with your data centre infrastructure management needs contact us.